The “2019 Writers Guild Awards” nominations were just announced and ABC’s “General Hospital” and NBC’s “Days of our Lives” are the sole nominees among the four remaining American daytime soap operas in the daytime drama category. The “DAYS” nomination is spearheaded by head writer Ron Carlivati, writers Sheri Anderson, Lorraine Broderick, David Cherrill, Joanna Cohen, Lisa Connor, Carolyn Culliton, Richard Culliton, Rick Draughon, Cydney Kelley, David Kreizman, David A. Levinson, Rebecca McCarty, Ryan Quan, Dave Ryan, Katherine Schock, Elizabeth Snyder and Tyler Topits. “GH’s” writing team is led by head writers Shelly Altman and Chris Van Etten, and writers Barbara Bloom, Anna Theresa Cascio, Suzanne Flynn, Charlotte Gibson, Lucky Gold, Kate Hall, Elizabeth Korte, Daniel James O’Connor, Donny Sheldon and Scott Sickles. The Writers Guild Awards honor outstanding writing in film, television, new media, video games, news, radio, promotional, and graphic animation categories. 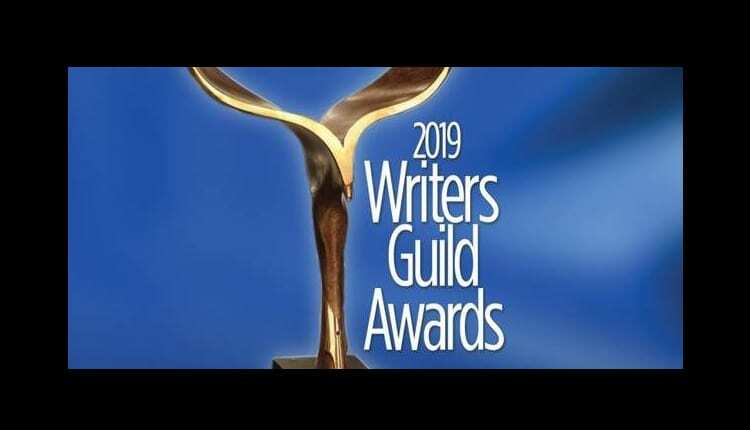 The 2019 Writers Guild Awards (71st Annual) will be presented at concurrent ceremonies on Sunday, February 17, 2019, in Los Angeles at The Beverly Hilton and in New York City at the Edison Ballroom. For more information about the 2019 Writers Guild Awards, please visit www.wga.org or www.wgaeast.org.